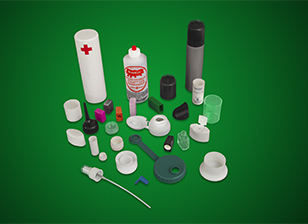 JAM Plastics manufactures a wide-range of custom threaded and press-on plastic overcaps. We stock several sizes of overcaps as well as manufacturing caps to your specifications. Based on our years of experience we can develop and produce the right caps for your threaded or overcap application. We have the right plastic caps for your bottles or cans, including long-tube, push-on, ribbed caps, threaded, and multipurpose caps to meet your requirements.